If you’ve ever seen a photograph of Patagonia, chances are it will have been of the three granite towers that give Torres del Paine National Park its name and distinctive skyline. The day hike to Mirador Las Torres gives an up close and personal view of the towers from various angles, including from the dedicated mirador (viewpoint). The hike takes you around, and right up to, the jagged granite towers which loom over an impossibly blue-green glacial pool. The trail follows the Ascencio River valley, one of the valleys that separate the massif and give the Park so much of its texture, through native beech forests and across numerous streams. If you’re lucky you might even catch sight of the Andean condor. Other wildlife includes guanaco (a relative to the alpaca and llama), the bizarre looking rheas, and cougar. You’ll probably need the support of a qualified naturalist guide if you’re serious about wildlife spotting. In the run up to the mirador there is some scrambling through a glacial moraine, after which you reach the Mirador Las Torres to be rewarded by stunning views of the towers with the lake in the foreground. The towers themselves are named somewhat unimaginatively: North Tower 2,600m (8,530ft), Central Tower 2,800m (9,186ft) and the South Tower 2,850m (9,350ft). Patagonia’s most famous explorer, Bruce Chatwin, was beaten by over a century. His predecessor was the pioneering British traveler and war correspondent, Lady Florence Dixie, who is credited as the first foreigner to visit Torres del Paine. In her book, Across Patagonia, which was published in 1880, she called the towers “Cleopatra’s Needles”. The hike to Mirador las Torres is 17km (11 miles) long and takes between 7 and 10 hours to complete. It’s a moderate to intense hike. The final part leading up to the viewpoint is exposed and fairly steep and involves some boulder scrambling up rocky moraine. As with the rest of Patagonia, the weather is extremely changeable and you can expect showers, fog, and bright sunshine, often all in one day. Water, snacks and a packed lunch are essential, as is smart layering (see “What To Pack” px) so you can adjust your clothing with the weather. 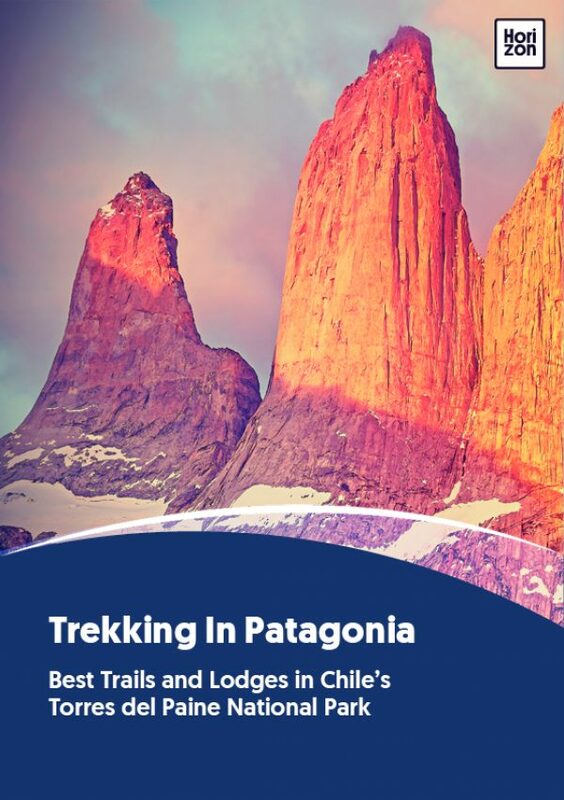 The Mirador las Torres hike is one of the most popular trails in the national park and offers an accessible introduction to hiking in Patagonia. It can be completed as a day hike departing from either the park entrance or from Puerto Natales, although you’ll need transport to and from the park. For more of a challenge it can also be incorporated into both the W and Paine Circuit treks.